‘The people who were causing him terrible problems were the same people he would have had to ask for help’. 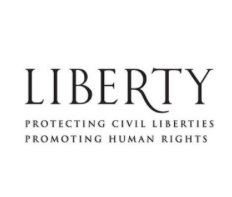 Civil liberties and human rights campaign group Liberty has called for civilian police to investigate all military crimes after the Coroner in Private Sean Benton’s inquest delivered a highly critical verdict. The Coroner in the inquest into the 1995 death of Private Sean Benton at Deepcut Barracks recorded a verdict of suicide, and delivered a narrative verdict that severely criticised serious failures in duty of care at Deepcut barracks. His Honour Judge Peter Rook QC delivered his conclusions at Woking Coroner’s Court following a wide-ranging inquest which began in January and heard evidence about Benton and life at the Surrey camp from 174 witnesses. This article is available here at Women’s Views on the News.